Professor Zvi Eckstein is a full professor of economics at Tel Aviv University and the University of Minnesota. He received his Ph.D. from the University of Minnesota in 1981. He has published papers in all leading economic journals such as Econometirca, ReStud., AER, JPE, etc. He has taught at Yale University, Carnegie-Mellon University and Boston University. Professor Eckstein was the Head of the Eitan Berglas School of Economics and he was the chairman of the Investment Committee and outside director at the Provident Funds of Bank Leumi of Israel Ltd. He is currently an editor of the European Economic Review, Fellow of the Econometric Society, a research associate of the Center for Economic Policy Research, a research associate at the IZA and a consultant at the Federal Reserve Bank of Minneapolis. 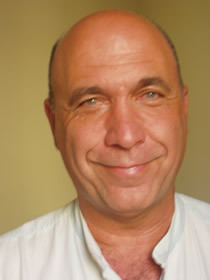 Zvi Eckstein joined CReAM as an external fellow in May 2006.